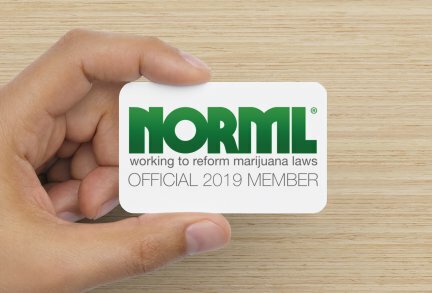 Be a 2019 NORML Member! Please join our fight today by becoming an official NORML 2019 member. To be considered a NORML member in good standing donate at least $35 annually or $5 monthly. Members and sustaining monthly supporters receive exclusive information about NORML's efforts and ensure that we have the resources needed to continue our work. Please allow 4-6 weeks for delivery of the card via USPS. Those who sign up for monthly donations will be sent their card after the second monthly contribution is completed.